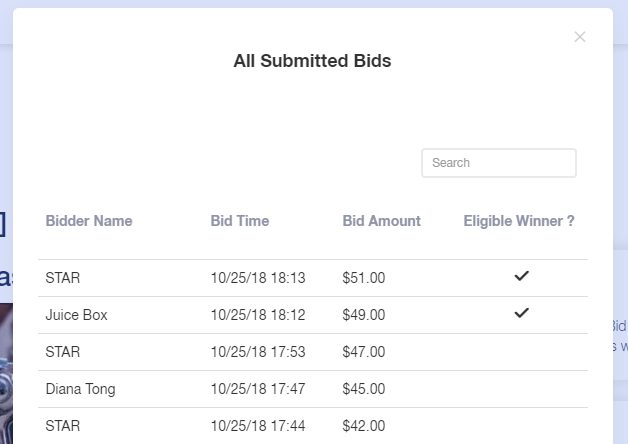 Our multiple winners option allows you to have multiple winners for the silent auction items that you specify. Each winner will be awarded the item they bid on at the amount they bid, based on the number of winners that you determine for each item. 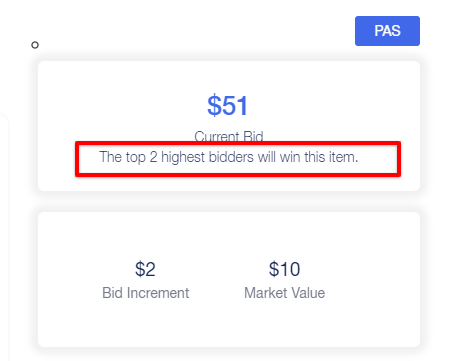 Note: If an item allows for three winners and one person has the first and third highest bid then that person will have two winning bids and be asked to pay for both the 1st and 3rd highest bid. 2. 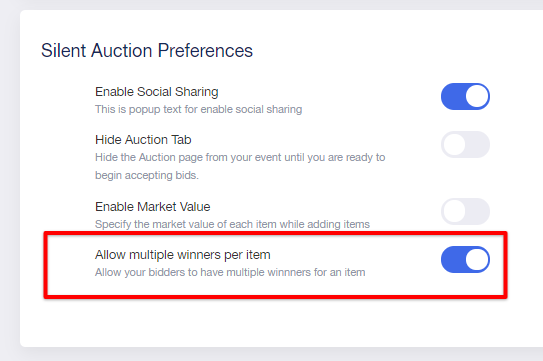 Turn on the Allow Multiple Winners per Item toggle"
Your bidders can also see the eligible winners for each item. If multiple winners are enabled, there will be a check mark next to each eligible winner for that item. At the end of your event, all winners for the item will be notified and will be able to pay for their bid.